This is a RPG for Soul Eater! You can be a student at Death Weapon Meister Academy, a witch, or even a kishin. Our Roleplay has died. We have all migrated to some of the Affiliates at the bottom of the forum (to the left). you are welcome to join any of them. 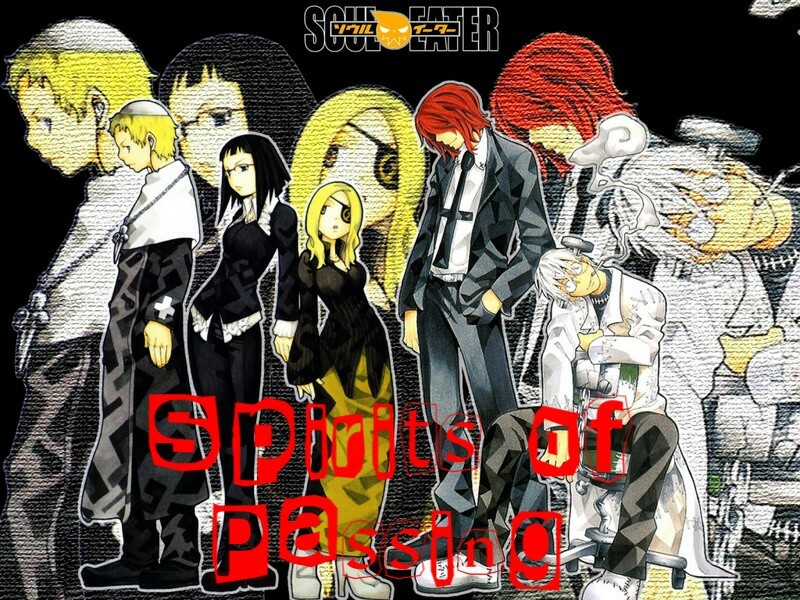 Welcome to Soul Eater: Spirits of Passing! This is a Text-Base Roleplaying site that is accepting both Canon and Custom characters! Please read the rules when signing up and make your character! We currently accept people who are Meisters/Weapons, Meister, Weapons, Witches, and Kishin. Have fun! » Assassin at his best, no room for error. We are going to be resetting the storyline ideas. If you have any ideas, please post here! We are keeping the main Storyline in action, but we want some of your ideas involved. This is what the storyline so far is. The storyline takes place two years after the current series of Soul Eater. This would mean that Maka, Black Star, Soul, Tsubaki, and anyone else in the series are far past 13 now, being 15, 16, etc. These are all of the playable races in Soul Eater. If the name of the race is green, you can currently be one. If it is red, it is temporarily closed.